Rottweiler Carrying a tree stand ! 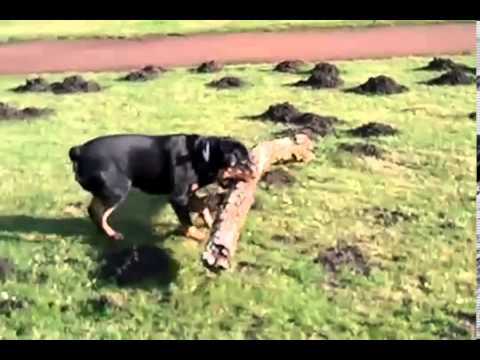 A wonderful video that shows the strength of Rottweiler. In this video from Youtube that has been shared a lot in recent weeks, you can see a powerful Rottweiler carrying a big tree stand. A video that shows the strength of the best guardian dog breed, Rottweiler. This breed was created to be a strong but this is just amazing, having this much power from a dog it is really unbelievable. Szegénynek kitörik a metszőfoga, dinnye gazdi !